The older boys have been having a lot of fun with a Science subscription box that they received last Christmas. In one of them, they have a lot of water beads that are larger than usual but they are also clear, so they went ahead and colored them. But I will have to share that later. this post is more about what happened next. 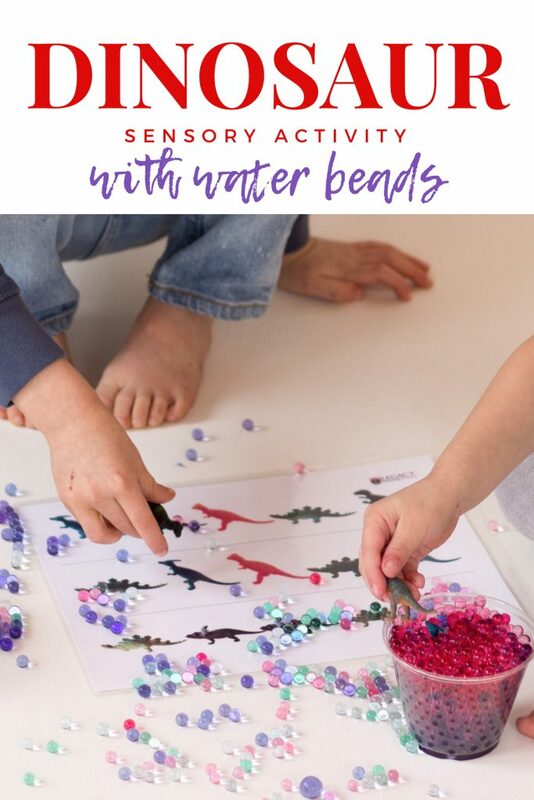 Water beads are a great sensory activity for all ages! If you follow our blog, you will soon realize that some of the best adventures that we have, always happen by accident. The beads were so enticing to the little boys, they are soft and cool to touch and the pretty colors were just amazing! So their regular homeschool lesson turned into a fun sensory activity! 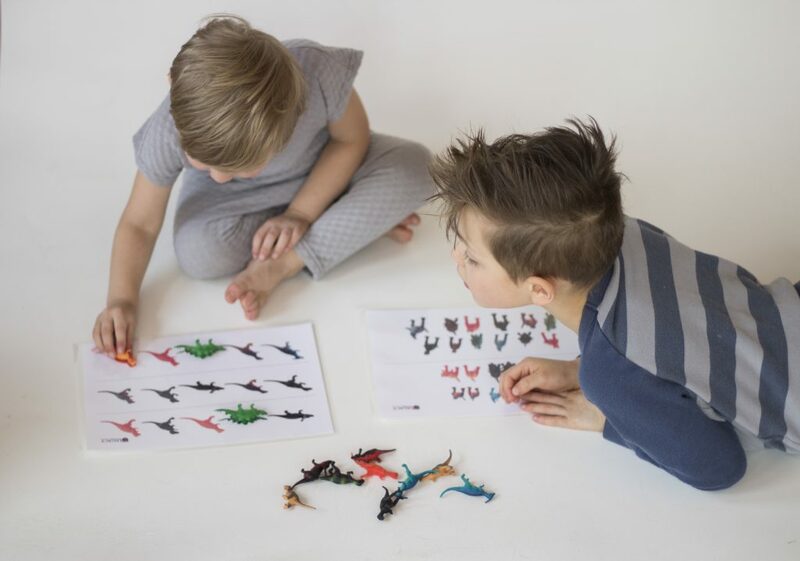 By the way, you have to check out this amazing dinosaur learning set from my beautiful friend’s learning shop! homeschooling has been so fun with all of her easy to use and super fun activities! You can see it here. If you love this set, you can use code:Dragons20 to save on your entire purchase! How fun is that? Anyway, back to our sensory adventure! So what you have to do, is order some already colored water beads. They have them available at different craft stores and also online. you can put them on one big container or in a few smaller containers, then add water and watch them grow! This will take a few hours. Make sure that you leave room for them to grow in the container! Or you might come back to a crazy sea of very bouncy water beads all over your floor. Not saying that this happened to us, 😉 but I am saying that it could happen… to anyone. Ok let’s move on! 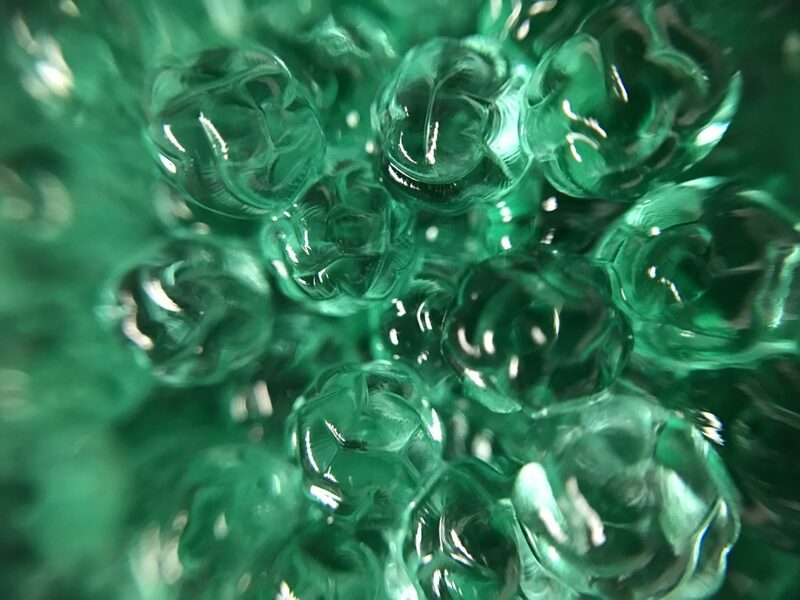 This is a super close up of what the water beads look like, half way through the process of filling up with water. eventually, the lines disappear and they become a smooth bouncy ball. I separated them by color but you don’t have to do that. I put them in different clear cups and put the little dinosaurs inside. Then I gave them a dino matching sheet from Legacy Learning Academy and the rest was really up to them! they played match the dinosaur, they told me all about herbivores and carnivores and they squished the water beads and just had fun! One of the things I love the most about this activity is that you can use anything that spikes the child’s interest! And that you can let them take the lead. 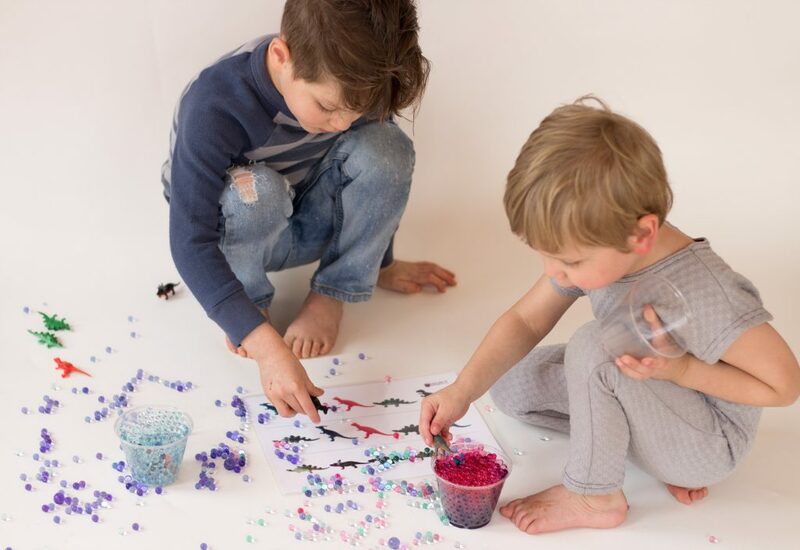 They can add objects or take off, they can dump the beads from one container to the other, and they might even try to experiment with the mixes of colors! It is amazing all the things that their little minds will think of. A sensory activity is about the child using as many senses as possible. So really there’s no structured way for them to do it, just hours of fun! If your child is younger, and still puts things in their mouth, be sure to use larger objects that wont represent a danger to them, also please be sure to get non toxic water beads. The most important thing is to keep our littles safe. Then to let them be engaged, have fun and be really messy! have fun making memories! Here is a video of my little monkeys having fun with their impromptu dinosaur sensory activity. Enjoy! And tell me how it goes on your side! 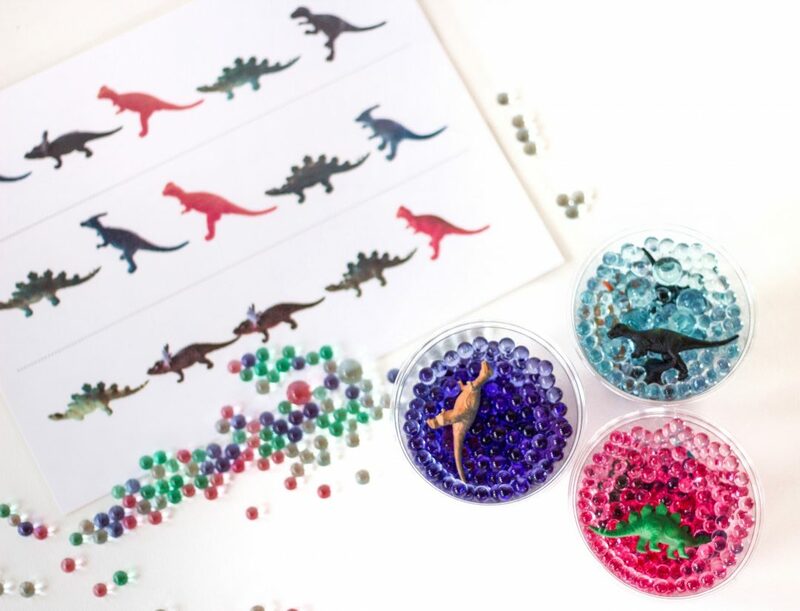 Those water beads look so fun!!! !